I forgot to tell you about my excellent experience getting rid of some stuff. I had these two lawnmowers, an electric and a reel mower, that weren’t pulling their weight. The electric was actually alright, but blew the circuit breaker every other time I used it. The reel mower didn’t even turn; I’m not sure what was wrong, but it obviously needed work that I wasn’t going to do. I had them out of the shed and in the back lane beside the garage when J came over to grab a truckload of stuff to go to the dump. Sorry, the Saskatoon Regional Waste Management Centre. He mentioned that our mutual acquaintance, Jonny, used freecycle.org to get rid of stuff just by putting in an ad saying that there’s free stuff in the alley. I checked in with Jonny who said that he had better luck with the free stuff section of Kijiji. In fact, he said that he’d once used it successfully to trade an unopened package of razor blades to the first person who brought him a Tim Hortons’ extra-large double-double. 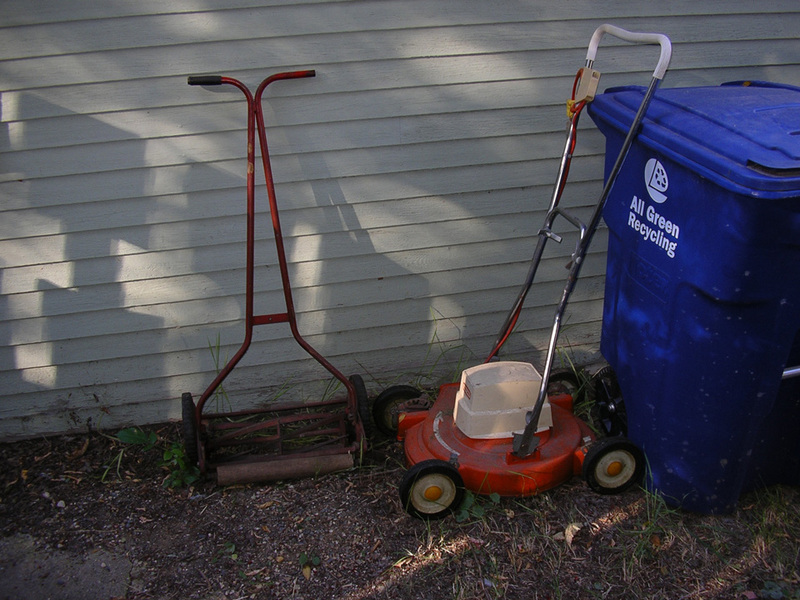 So at about 8:30 pm, I put in an ad alerting the community to two free lawnmowers beside my garage. Before I left for work the next morning, the electric was gone. By the time I got home from work, the reel mower was gone. Amazing. This entry was posted in People and tagged Kijiji.